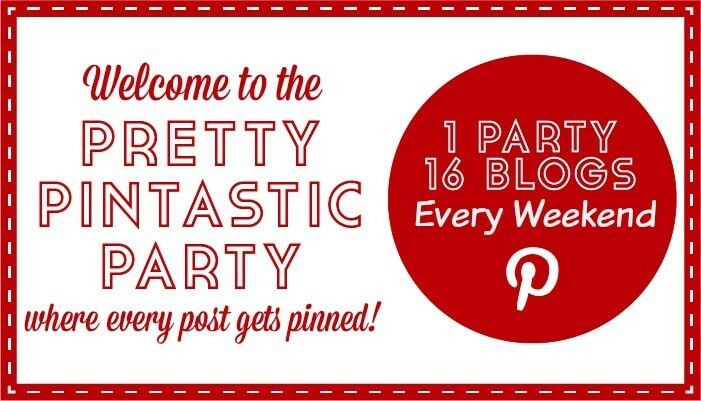 Welcome to the Pretty Pintastic Party where all posts are pinned & features are pinned by all! This week’s Features: Easter Chicks Lemon Cookies from Gold Lining Girl Handmade Botanical Paintings Tutorial from Krista-Artista Paper and Yarn Bunnies from Little Miss Celebration Caramel Apple Cheesecake from All She Cooks Easter Candy Desserts from Embellishmints 5 Easy & Pretty Embroidery Projects from Keeping it Real If you were featured, grab a featured button!! By linking up, you give coffeewithus3.com, divasrunforbling.com, bowdabrablog.com, anallievent.com, anniesnoms.com, mommylikewhoa.com, mybigfathappylife.com, uncookiecutter.com, mommalew.com, thetiptoefairy.com, bigfatf.com, thankyouhoneyblog.com, houseoffaucis.com, suburbanwifecitylife.com, my-mommy-brain.com, or any co-host permission to feature your post on social media and our blogs using a photo, title, and link to your site. Proper credit and links will be given to you. By linking up, you will be added to the mailing list for The Pretty Pintastic Party. You will only receive emails reminding you when the party goes live. You can unsubscribe at any time.